It is with great pleasure that Fondation HCB is showing Colóm’s project on Les gens du Raval, in collaboration with Fundacio Foto Colectania, Barcelona. This show will then be held at Folkwang Museum, Essen. 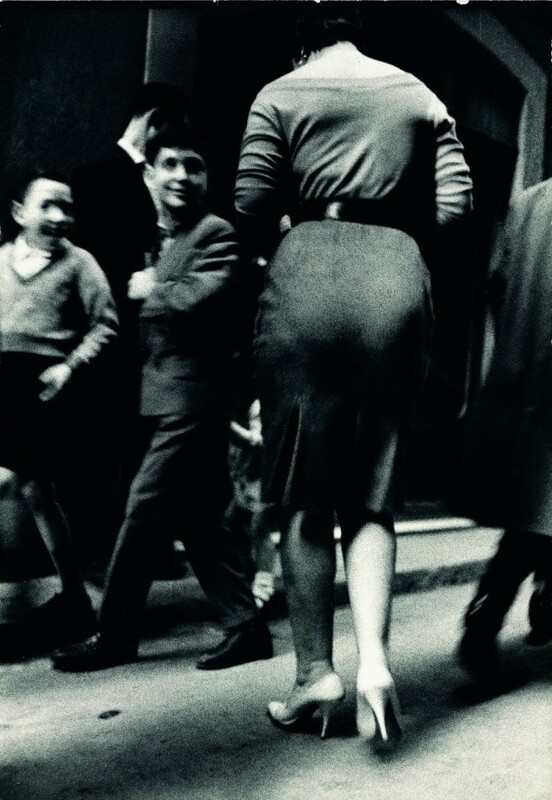 The exhibition is gathering 85 BW prints made by Joan Colom between 1958 and 1961. Every week end, for more than two years, Joan Colóm explored the “Raval”* neighbourhood, the “bas-fonds” of Barcelona; by photographing without aiming the camera, he was concerned about staying discreet and breaking with the aesthetized tradition of his elders. He was very aware of what he was doing “images that touch me,” he was an impassioned witness of a social theatre. It is whilst printing that he exactly framed the image, with a constant search for truth. Today, the “imaginaire” of urban life of the Barrio Chino is rooted in Colóm’s images….His work was praised early on by personalities such as Ramon Massats and Josep Maria Casademont who wrote in 1961: “with Joan Colóm, we are entering a new phase of our history of photography;” In these images the modernist avant garde of the fifties is interwined with the “dark” and pessimist tradition of Spain during the Franco era. His work has been compared to Walker Evans’s New York Subway project: the strait crude vision, the rejection of the pictorialist aesthetic. This work for sure is close to a search for pure realist photography, comparable to Brassai in its content. 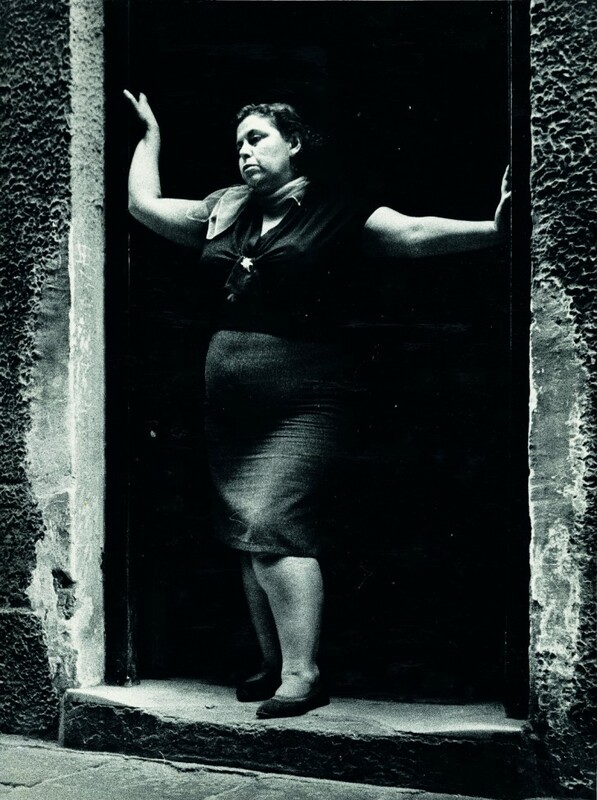 Joan Colóm returned to photography when he retired in 1986: every day he roamed the streets in pursuit of his motto: “Yo hago la calle”- “Je fais le trottoir”- a play on words that Henri Cartier-Bresson liked to use often also. Some memorable images by HCB of the Barrio Chino in the 30’s are present in everyone’s memory. Joan Colóm didn’t know these photographs when he began his project, different but animated with this same desire to show life as it is. Both men met in 2003 during the HCB retrospective in Barcelona. Joan Colóm had just received the Spanish Great Award for photography. *The “Raval” is the real name for this district of Barcelona which is known today as the “Barrio Chino”.